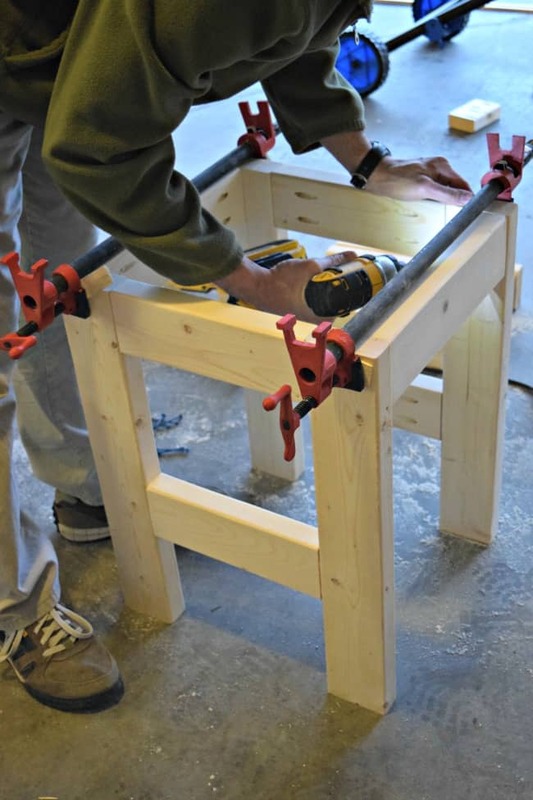 Make this easy DIY Shop Stool using only 3 – 2x4x8 boards. The cost is less than $10. It would also make a great side table or plant stand. It has been a minute since we have been able to get outside and start a new wood project. I’m looking forward to some Spring weather and even some Summer too. We have a few new plans in the works but first I needed to fix a problem that I have been dealing with every time we build in the garage. A place to sit! 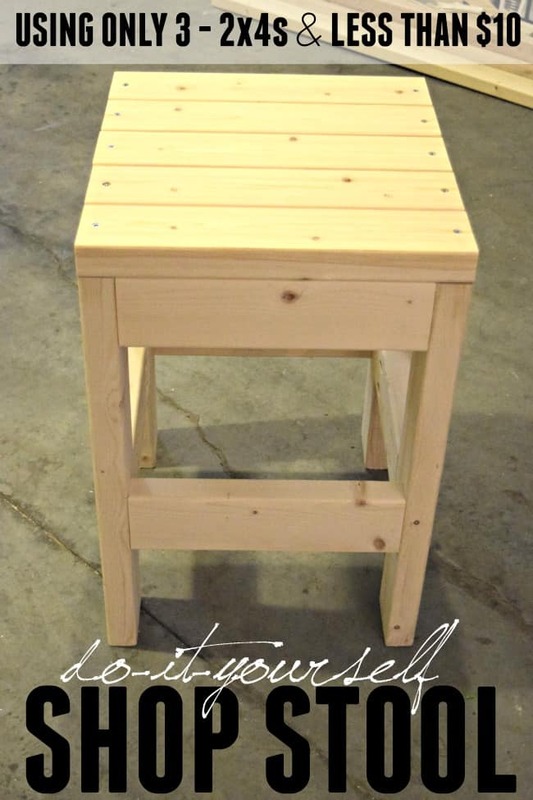 So today’s build is a super simple DIY shop stool. When I say super simple I totally mean super duper simple. 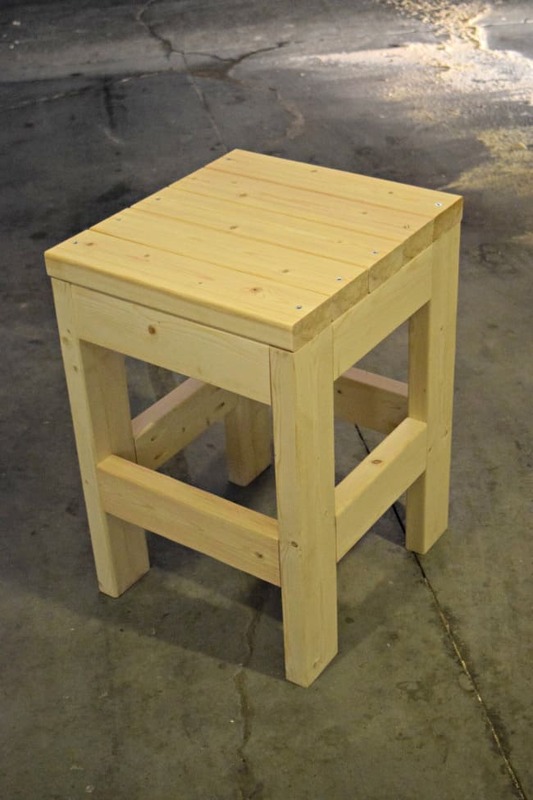 This stool is built out of 3 – 2x4s and a handful of screws. Total cost under $10. I’m pretty sure I couldn’t have even bought an averaged priced one at the local dollar store for under $10. What is even cooler about this build is that it could easily be used as a side table for your patio or house too. It would work equally great as a plant stand. Today though, it is a DIY shop stool. Keep reading for all the tutorial details. 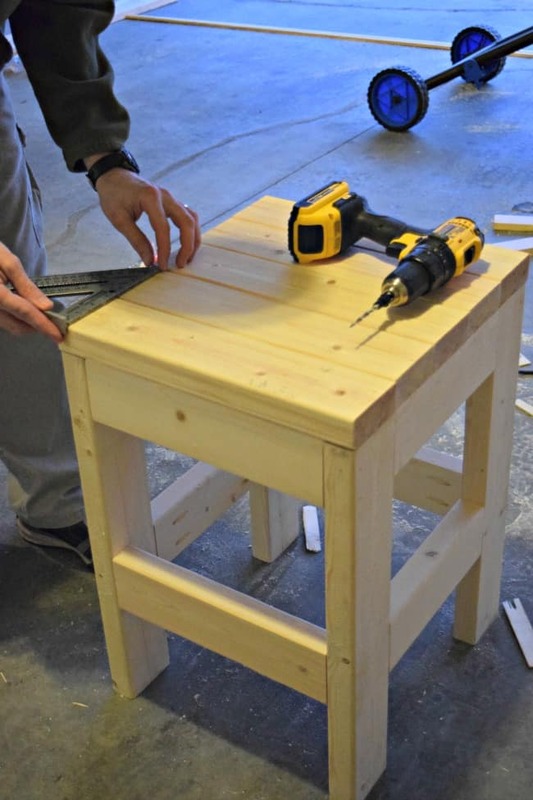 How to build a DIY shop stool! 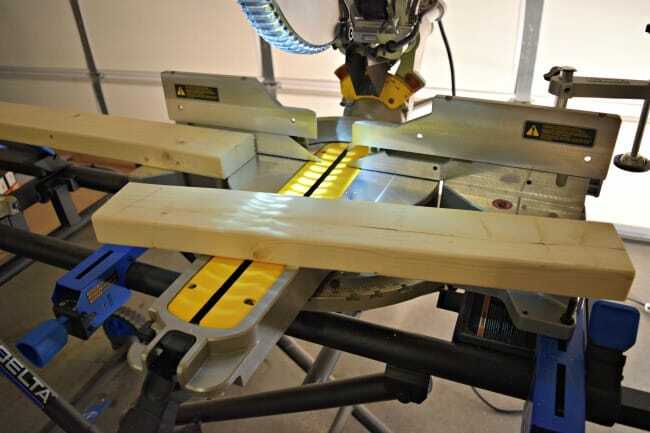 Step 1: Use a miter saw to cut the lumber for your stool. Step 2: Using two front/back supports and two leg boards make one front panel. We used a Kreg Jig to attach these with 2″ pocket hole screws and wood glue. 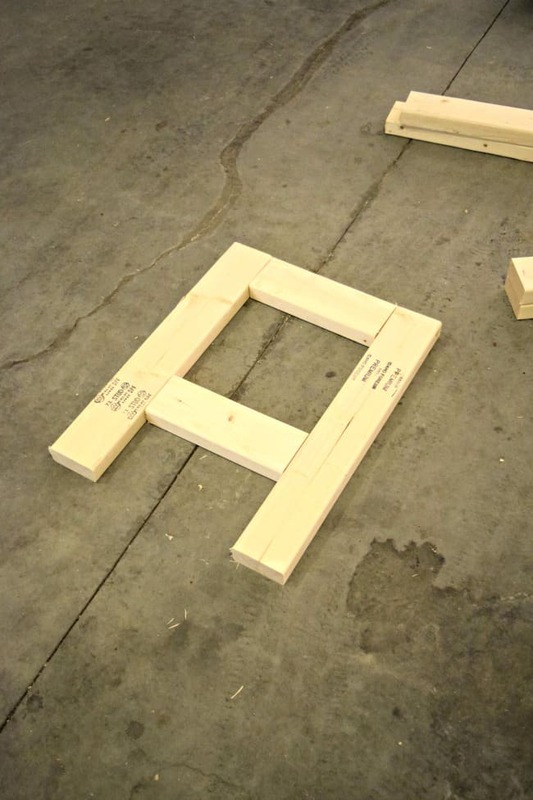 The first support should be flush with the top of the leg board and then the other should be attached with 8 1/2 inches in between the two. Step 3: Using the other two front/back supports and two leg boards make your other back panel. Attaching the support pieces at the same points. Step 4: Sand all of your pieces before assembling the rest of the stool. Step 5: Attach the front and back panels using the side support boards. Two boards on each side. These will also be attached at the same points. The top board flush with the legs and the others with 8 1/2 inches in between. 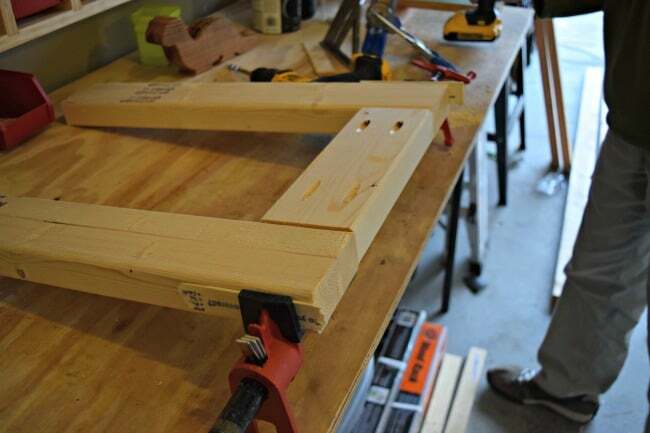 Step 6: Attach the 5 top seat boards using flathead screws or just regular 2″ nails. Step 7: Stain or Paint…. We just decided to let ours naturally darken like the rest of the projects in our garage but if I was going to use it for the house I would probably use this homemade wood stain. I love it! I hope you found this tutorial helpful and would love to hear if you built on and what you are using it for. DIY Multipanel Mirror: High End Look for Less! Great stool, you made it look so easy!!! Now that is one awesome build! Looks as sturdy as a rock! I can think of a hundred uses for your cool creation! Great job! Gonna build one for my workbench. I just had to make one, and sat my mini fridge on it. Thanks for the inspiration one Sunday afternoon. Nice! Love the use of a mini fridge stand. 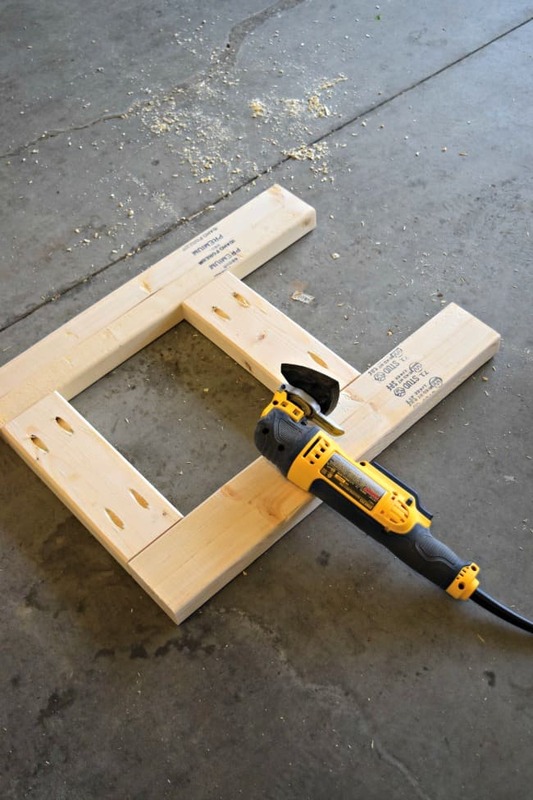 So many great ways to use this little inexpensive build. Made this to use as a night stand for my son’s room at our cabin. It fit in with his pine bunk beds. Gets used for extra seating when we need it. Thanks for the plans! I will be using it again and again I”m sure. How would you make this into a swivel stool with a back? That’s a good question, Michelle. I have never tried to turn it into a swivel stool or put a back on it. I would have to think about how that would work. In the meantime, if you come up with anything let me know and I will pass on the word.